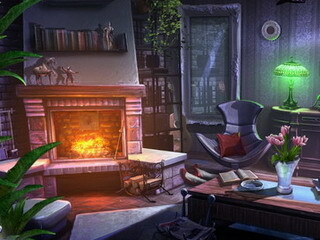 The hidden object game specialists at Brave Giant have done it again! Noir Chronicles: City of Crime Collector's Edition brings you back to the prohibition era to get to the bottom of the latest crime. You will be playing the role of detective Alfred Fox and it is time to get down to business. Brave Giant is a Serbian gaming company with an excellent record. It is no secret that these are corrupt times. And sometimes, corrupt times call for corrupt measures. Be ready to stick your dukes up (literally - there is actually a minigame in which you will fight fist-to-fist with the bad guy) in order to get to the bottom of this noir mystery. If you are into the mysteries of the early 20th century America inner-city life, then this is most definitely a game for you! Brave Giant is a Serbian gaming company with an excellent record. They are the same producers that came up with Hidden Investigation, Tiny Tales, and Ghost Files - all excellent series. You can expect that Noir Chronicles will live up to the expectations. If you like noir, mystery, and Hidden Object Puzzle Adventure games, then Noir Chronicles: City of Crime Collector's Edition is going to be just the right game for you! The Collector's Edition includes some real goodies: 20 unlockable achievements, 33 collectible items (consisting of shoe prints, high heel prints, handprints, and a fingerprint), eight wallpapers, eight concept arts, replayable HOP scenes and puzzles, a map at the beginning of the game, a bonus chapter, and as always, a helpfully integrated strategy guide. 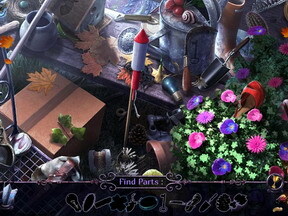 This game is unique among Hidden Object Puzzle Adventure casual games. Get in for yourself and see if you can unlock the mysteries that it beholds. Two thumbs up! This is Noir Chronicles: City of Crime review. Download this game here.